The burden placed on our environment needs to be sustainably reduced. Consumers require reliable information so that they can also act in an environmentally conscious manner. The Blue Angel environmental label and the EU Ecolabel provide assistance in this area. Both labels highlight particularly environmentally friendly product groups and services. They are awarded by RAL gGmbH to those products and services that have passed a strict certification process in which specific environmental criteria are tested. The aim is to sustainably reduce the burden placed on the environment by using ecologically optimised products and services. In order to ensure that consumers can act in an environmentally conscious manner, it focuses on the provision of reliable information and the clear labelling of the products and services. Environmental labels provide practical guidance to greatly simplify the process of selecting products and services and making purchasing decisions. At the same time, environmental labels provide industry, commerce and trade with the opportunity to clearly demonstrate their environmental competence to everybody. Using the label helps companies to significantly improve the market prospects for their products and services against the competition. 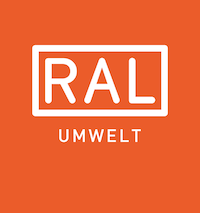 In Germany, RAL is the sole awarding body for the German environmental label – the Blue Angel – and the European environmental label – the EU Ecolabel. As a result of its recognised expertise in the issuing of quality marks, the Federal Environment Agency assigned RAL the new groundbreaking responsibility of awarding the Blue Angel in December 1978. RAL is today a competent partner for specialist sectors, the economy and consumers.